This suite of network tools implements most of the network diagnostics that you need as a Network Engineer or System Administrator. This is the first version of our mobile app, please help us improve it by giving us feedback. 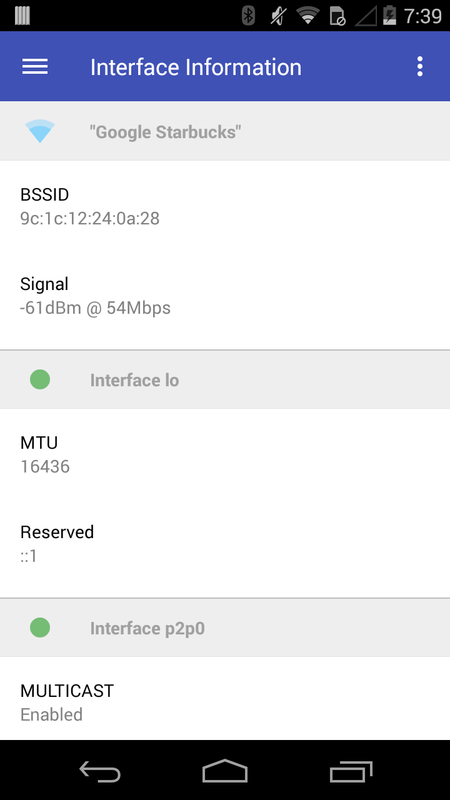 Interface Information: Get information regarding your device's current network state. 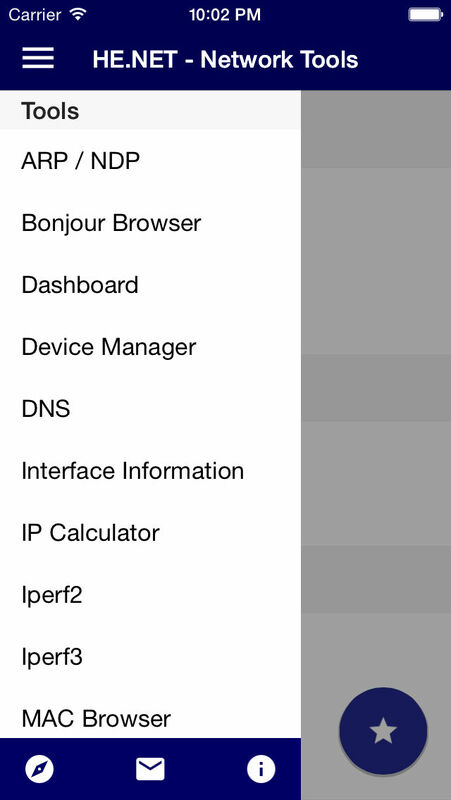 ARP / NDP: Lookup local devices found on your network using either ARP (IPv4) or NDP (IPv6). DNS lookup: Search for a server's DNS zone records such as SOA, NS, A, AAAA, MX, TXT, and rDNS. IP Calculator: Calculate the Netmask, Wildcard, Network, Host range, and Broadcast for a given subnet. iperf (v2 and v3): Run TCP and UDP performance tests. 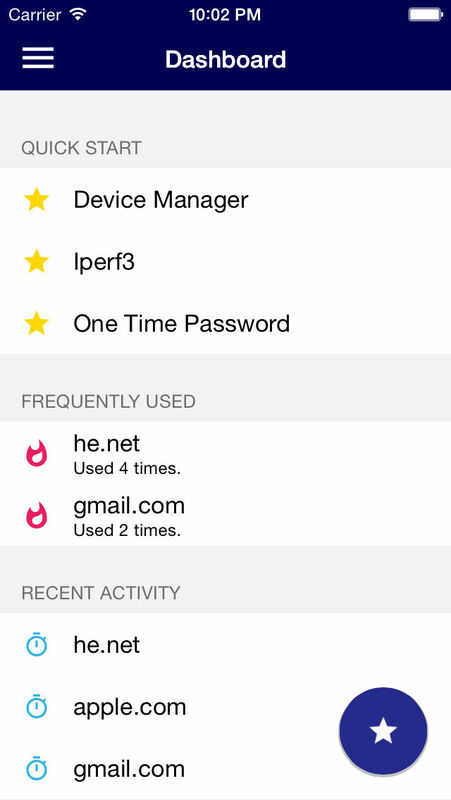 One Time Password: Manage time (TOTP) and counter (HOTP) based OTP passwords. 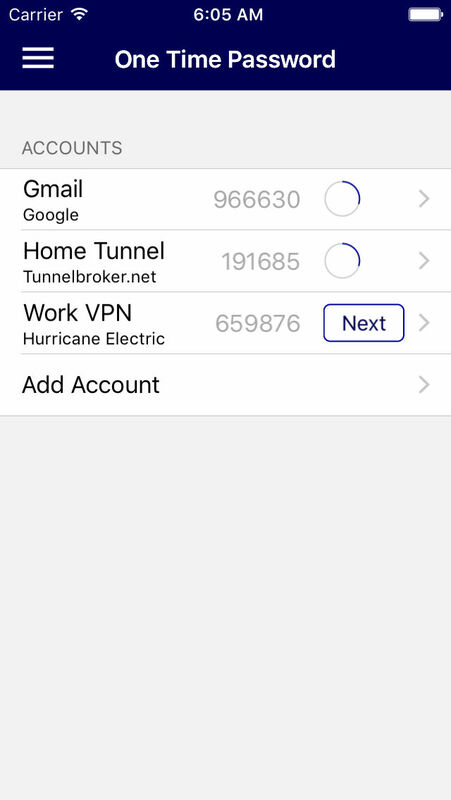 Uses iCloud Keychain sync (if enabled) on iOS devices. Ping: Send ICMP packets to a single IPv4/v6 address. Ping Sweep: Send ICMP packets to an entire subnet range. Traceroute: Find the route packets take to reach your destination. Progressive Traceroute: Get detailed statistics for a given route. 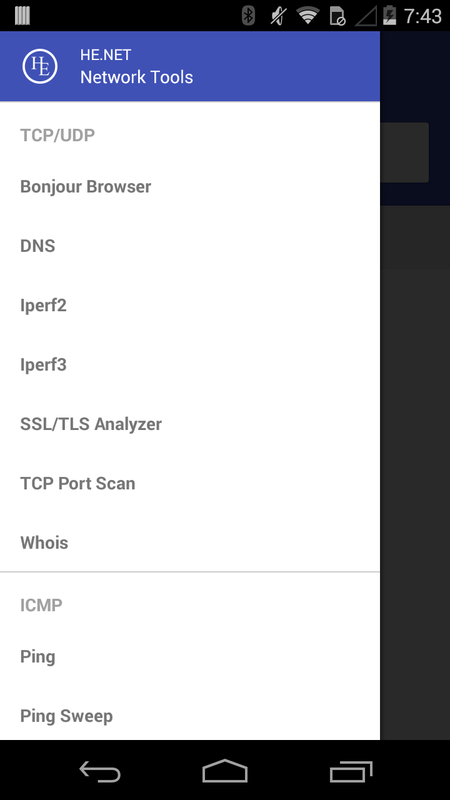 Port Scan: Scan a list of custom or pre-defined TCP ports on any server. 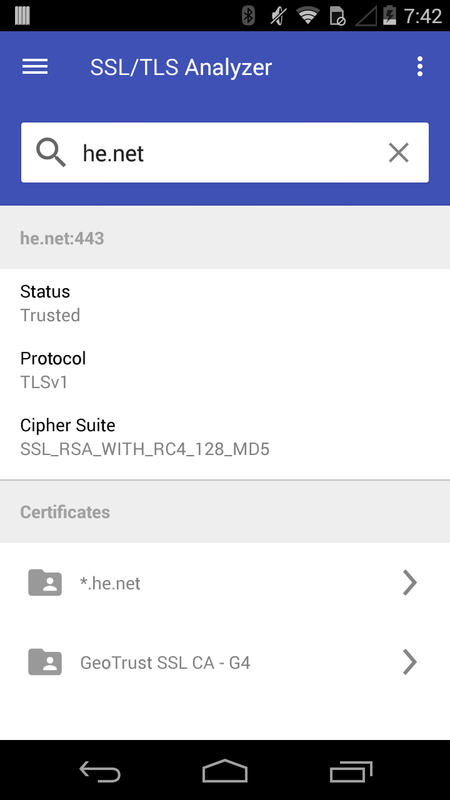 SSL/TLS Information: Check used protocol, ciphers and certificate information. Whois: Get information regarding domain registration. Apple, the Apple logo, iPad, and iPhone are trademarks of Apple Inc., registered in the U.S. and other countries. App Store is a service mark of Apple Inc. Google Play is a trademark of Google Inc. Android is a trademark of Google Inc.